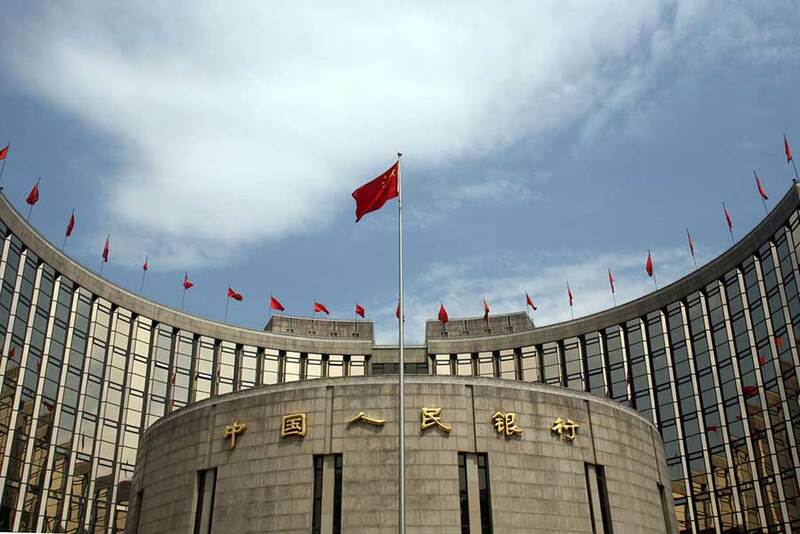 Beijing – After a long time reporting low economic performance, the People’s Bank of China (PBOC) lowered it’s benchmark lending and deposit rates in an effort to curb the economic decline. This one counts as the sixth time China’s Central Bank changes interest rates in less than a year. Moreover, this time it also lowered the amount of cash that banks must hold as reserves, in an attemp to boost the country’s stuttering economy. China’s current muted consumer inflation and falling market interest rates provided a support for the country to liberalize its deposit rates, lowered by 25 basis points to 1.50 percent along with lending rates reduced by 25 basis points to 4.35 percent. The fact that the chinese economy, the world’s second largest, is deciding to ease it’s monetary policy, gives a hint on the posibility that this year’s growth will hit a 25-year-low under 7 percent. The change was promised to be delivered for months and now will give banks in the country the possibility to price loans according to their risk and remove a distortion to the price of credit that analysts say ‘fuels wasteful investment’ in China. “In the next step, monetary policy… will be kept not too loose or too tight to ensure stable economic growth,” the People’s Bank of China said in a separate question-and-answer sesión in a high-level meeting in Beijing as reported by Reuters. While the Fed seeks to raise interests rates, China, Japan and Europe look for additional stimulus and boosting risk appetite. Last month the Fed suggested that slowing global growth led by China had contributed to its decision to hold interest rates near zero, as it has since December 2008. Meanwhile, stocks are rising around the world and U.S. bond market’s inflation expectations are rising to the highest levels in two weeks, forecasting a rate of 1.52 percent during the next 10 years. “China’s rate cut is helping global growth at the margin and it makes the Fed more likely to hike.”said Priya Misra, head of global interest-rate strategy in New York at TD Securities.